Gift for my boyfriend, came in just as pictured and he seems to really love it! Vibrant colors and crisp design, hoping the color doesn’t fade quickly or the design peel. 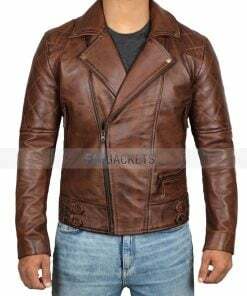 I have a lot of brown leather jackets men in my collections, but this is the best purchased of my life. The fit is perfect, and quality is excellent. Another good thing was fast shipping and nice packing of the product. Simple is just so better. 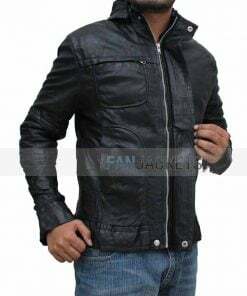 Like that, the Fonzie Leather Jacket is so decent that you can wear it anytime, anywhere and with every dressing. 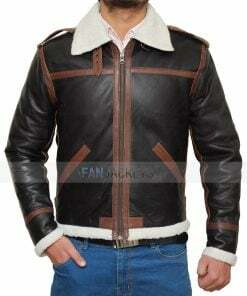 The best quality of the real leather is used to craft this classy Happy Days Fonzie Jacket. Moreover, to make sure you feel at ease for a long time, this attire has viscose has been stitched on the inside to absorb moisture. Its features are ideal for a person who’s looking for simple and regular wear.